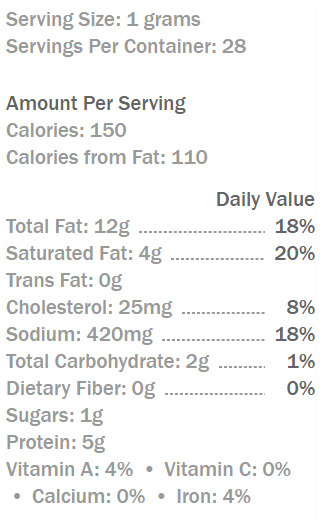 Jack Link’s Hot Wild Sticks conquer hunger with 6 grams of protein and a hot flavor. At only 150 calories, these sticks are the perfect portable protein snack for a busy lifestyle. There are 40 Wild Sticks Hot Beef Sticks in each case. 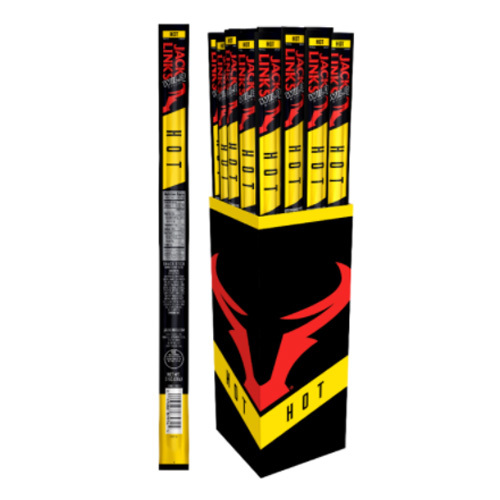 Each case is divided into two 20-count carriers of Hot Flavor Wild Sticks. 1. Sell each Beef Stick for $2.00. 3. Your price for one case of Wild Sticks Hot Beef Sticks is only $40.00! 4. You make $40.00 per case! That's 50% Profit! PORK AND BEEF, MECHANICALLY SEPARATED CHICKEN, WATER, CONTAINS 2% OR LESS OF SALT, SOY PROTEIN ISOLATE, RICE BRAN, SPICES, CORN SYRUP, DEXTROSE, FLAVORS, FRUCTOSE, REFINERS SYRUP, SMOKE FLAVOR, HYDROLYZED SOY PROTEIN, MOLASSES, PAPRIKA, PAPRIKA EXTRACT, LACTIC ACID STARTER CULTURE, SODIUM NITRITE, SAFFLOWER OIL, COLORS (CARAMEL, RED 3, ANNATTO). CONTAINS: SOY.